Juneteenth isn't the only thing we have to celebrate each year on June 19 -- it's also World Sickle Cell Day. Honoring this date, which commemorates the day back in 2008 on which the United Nations officially declared sickle cell disease as a public health concern, comes in many forms. Some people participate in awareness walks, some people take to social media, and others sell goods to raise funds for more research. While thinking about the many different ways people all over the world can observe World Sickle Cell Day this year, we came across this post by Sickle Cell 101, which provides some amazing ideas that are easy to get involved in. Check out some of our favorites below and then be sure to visit the full post for even more inspiration. --Change your username on your social media accounts (i.e. Instagram, Facebook, Twitter, etc.) 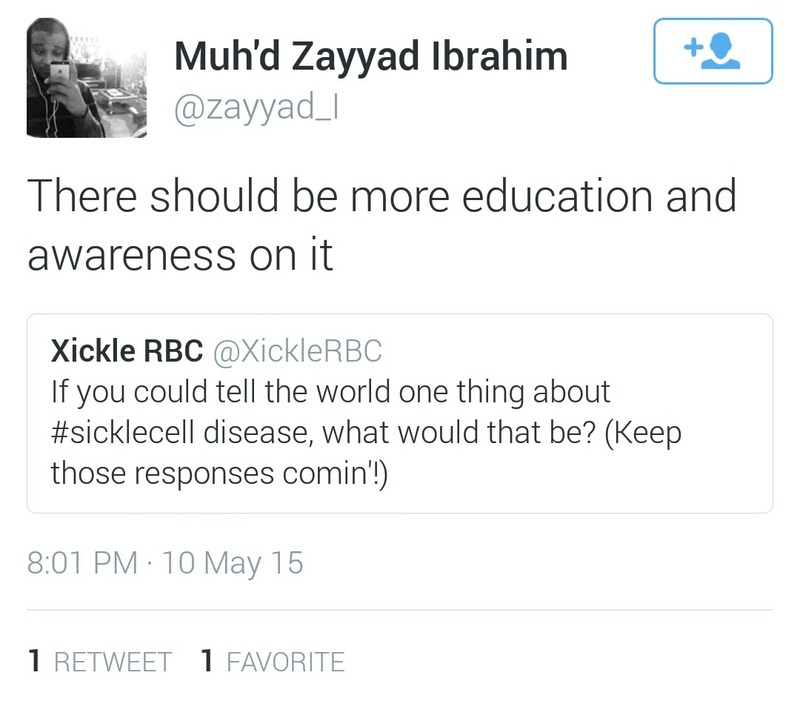 to “(Your name) fights Sickle Cell”. 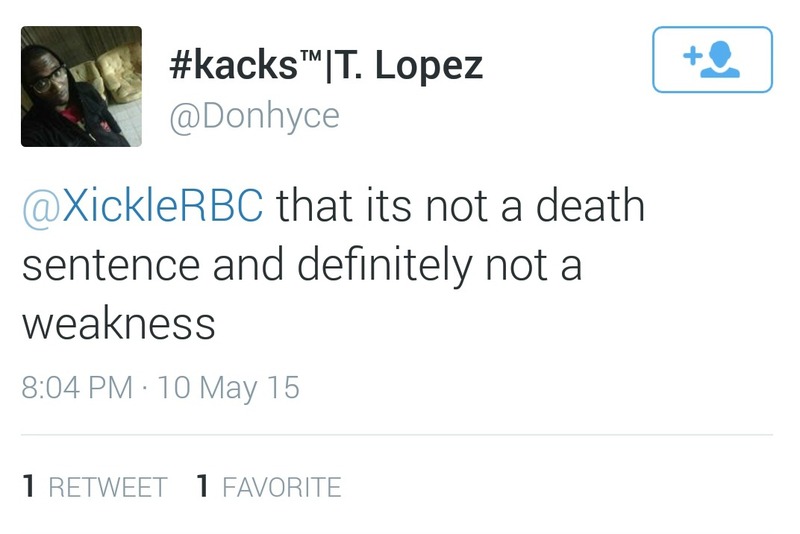 An example of a username on Instagram would be @cass_fights_sicklecell. If do not have Sickle Cell but would like to help raise awareness, you can substitute and think of a creative name so people can learn about Sickle Cell. --Get a group of your friends together and educate your friends about the disease. Many of them probably already know the basics and what you’ve told them, but allow a Q&A session after presenting your information. Allow them to ask any questions they want to better understand the disease. We love how simple, yet meaningful, each of these ideas is. Also, since sickle cell affects 1 out of every 500 African Americans, having a combination celebration of Juneteenth and World Sickle Cell Day would be perfect! At your cookout or parade, rock your sickle cell awareness shirts, decorate with sickle cell awareness balloons, screen a sickle cell movie or documentary, collect donations from family and friends at your celebration, and have an open dialogue while everyone is in the same place. 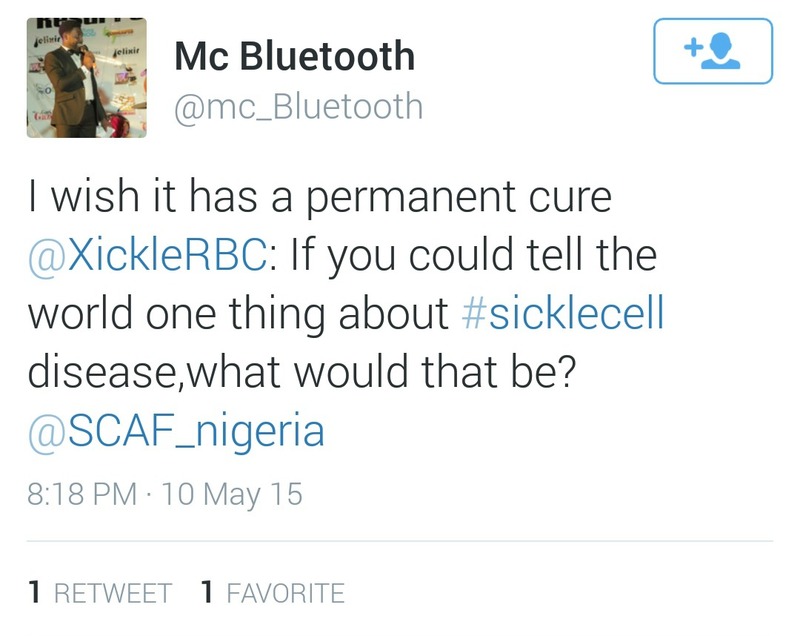 How do you plan to recognize World Sickle Cell Day this year? If you look at the news and only pay attention to the noticeably viral social media campaigns, you might think that finding others involved in the sickle cell world would be time consuming and difficult. But, we've found that Twitter is an especially perfect place to meet, share ideas, and learn from other warriors from all over the world. 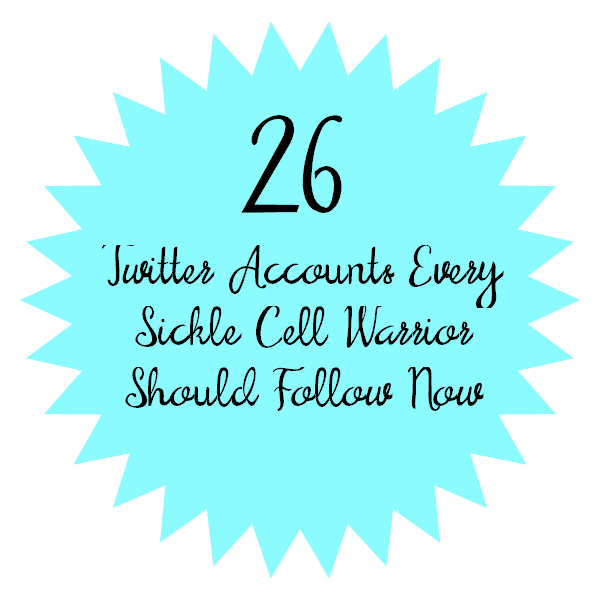 In the spirit of spreading awareness -- and in celebration of our own ever-growing Twitter community -- we've compiled a list of 26 super active sickle cell advocates you'll most definitely want to follow. Open up a new tab, sign in to Twitter, get ready to go on a following spree, and start building your own virtual community of sickle cell supporters. "Blood Born Sickle Cell activist, looking to uplift the spirits of other sickle cell sufferers in an encouraging way. Any day without pain is a good day!" "Writer, blogger & advocate for people living with sickle cell disease." Tune in to WDC Radio Saturday's at 4 p.m. PT / 7 p.m. ET at americatalklive.com for discussions on sickle cell and sickle cell trait. "Sickle Cell & Young Stroke Survivors provides support to children, young people and families affected by Sickle Cell Disorders and Childhood Strokes." "Executive Director of Sickle Cell Alliance Foundation." "This is the sickle cell awareness challenge created by @whambam_thankyou_sham & backed by the SCDAA supported by T-Boz of TLC. Our goal is to spread awareness"
"Sickle cell disease advocate, activist, research scientist...and occasionally...patient... with a doctorate in molecular hematology and regenerative medicine." "The Ontario Sickle Cell Association is dedicated to informing the public about Sickle Cell Disease and working towards a cure." 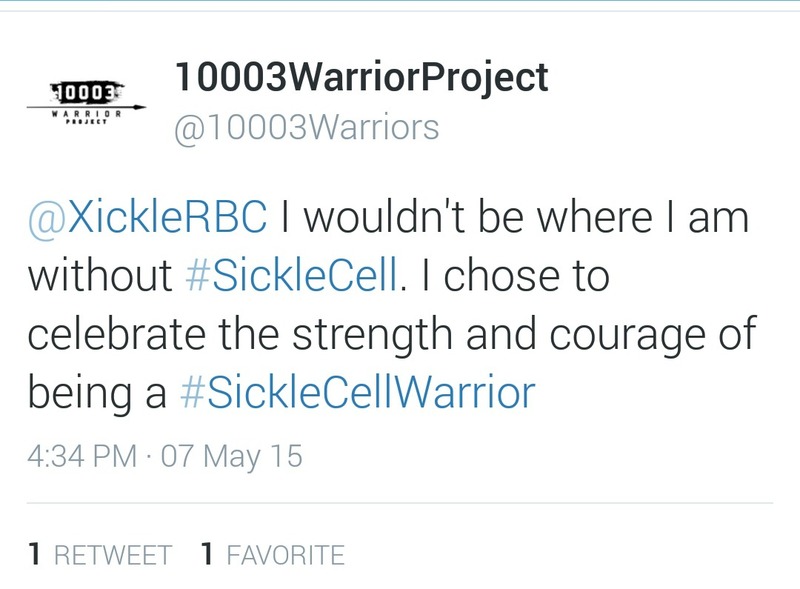 "#10003WarriorProject is a photographic narrative of anyone with sickle cell disease (SCD). We are set on capturing the 10003 warrior faces and stories in Kenya." "The Sickle Cell Community Consortium is an organization designed to unify the Sickle Cell community and its various organizations/foundations." "CSCF is dedicated to fighting sickle cell disease and helping families affected by it." "Blogger, educator, speaker, vegetarian, wife, Sickle Cell Advocate, and mom to twins." "SCFSN is a nonprofit that will provide free direct support services to families who have children with Sickle Cell disease." "18. UK. 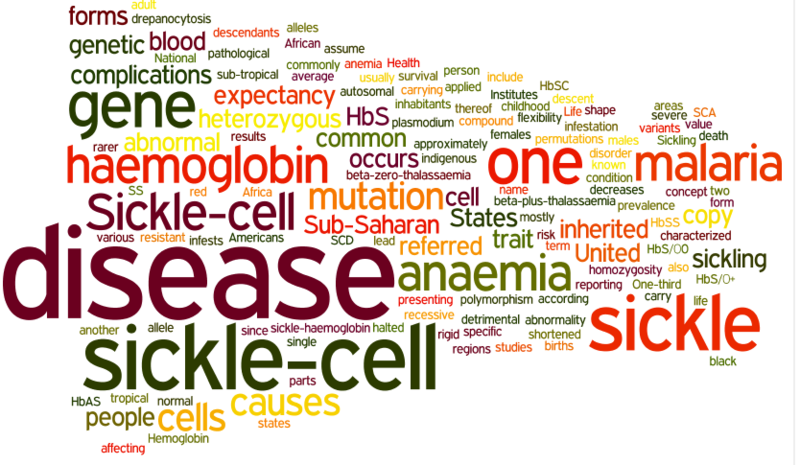 Sickle-Cell Anaemia. 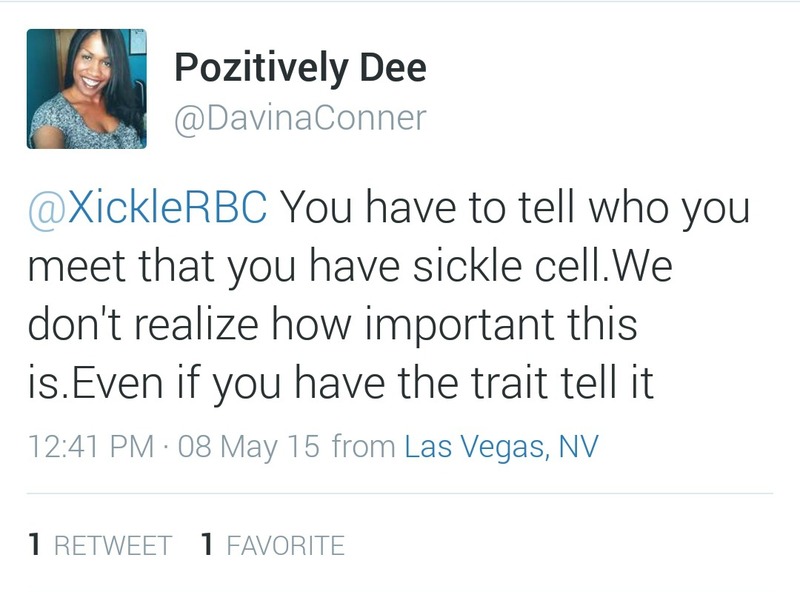 Inconsistent Blogger"
"Mom of twins,wife, and pediatric hematologist specializing in sickle cell disease." "Super Moms with Sickle Cell are a group of women who will spread the knowledge and Awareness to other mothers and our communities with Sickle Cell." "Registered nurse, proud mom, runner, sickle cell disease advocate"
"Non-Profit Educational Org dedicated to creating patient education tools related to Sickle Cell Disease using research based best practices for Adult Learners"
"Sickle cell affects us all. Join the movement and become a warrior. Passionate about sickle cell advocacy and empowerment. Inspired. Radiant. Resilient." "Sickle Cell Nation is a charity dedicated to raising awareness, educating the nation and generating funds to support suffers as they become young adults." "Greater Than Sickle Cell is a Campaign of the Sickle Cell Disease Association of America - @SCDAAorg." 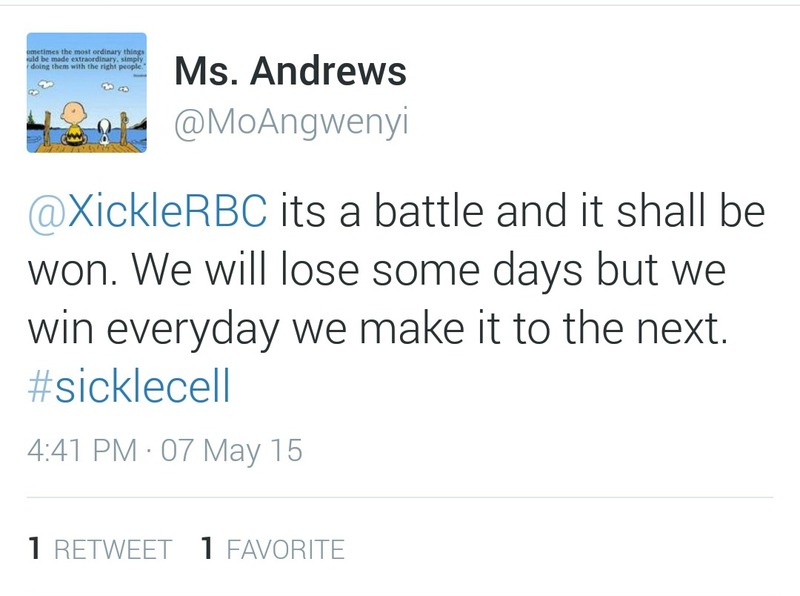 "Help us band together to #sicklethecycle so it can't sickle our cells." "Dedicated to health promotion & disease prevention across lifespan." "A Magazine for Urban Youth with Disabilities"
"Official Twitter of the Sickle Cell Disease Association of America, Inc."
Did we miss any of your favorite sickle cell warriors? Add their Twitter handles in the comments below! 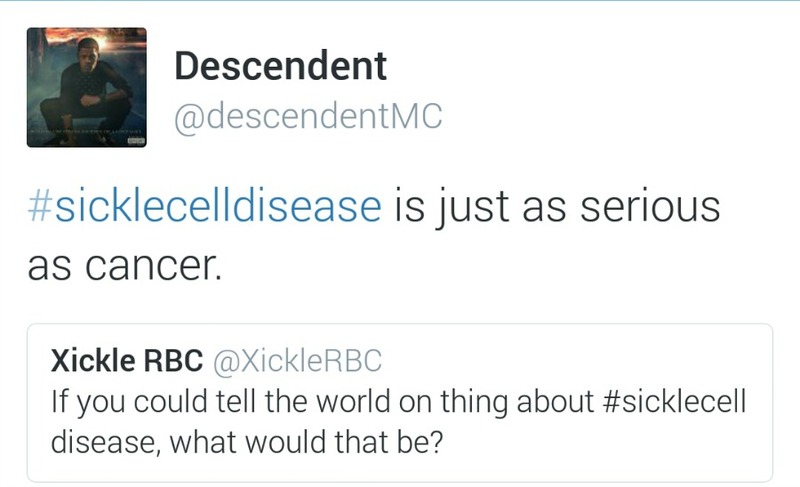 We all know that, unlike many other rare diseases, sickle cell isn't something the general population talks too much about. There hasn't been an Ice Bucket Challenge-sized viral social media campaign and the only person many people, who aren't affected by SCD, associate with the disease is T-Boz from TLC. And then, the only thing they know is that she has it. But there are still millions of children and adults all over the world fighting sickle cell disease daily, so for the past few days, we decided to pose the following question to our Twitter community: If you could tell the world one thing about sickle cell disease, what would that be? Read some of their responses below and join the conversation by adding your own thoughts and ideas in the comments section. You never know where these ideas could lead! Raising awareness for silent stroke is of the utmost importance. Here are three ways that you can help get the word out.